After 38 years in the business, you could say we eat, drink, and sleep shrimp. Although the eating part is still our favorite! 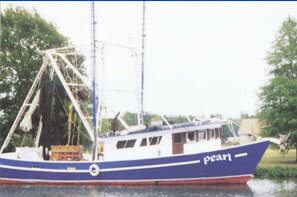 Pearl, Inc. was created over 10 years ago. The company's founders, Andrew and Christine Blanchard began looking at ways of adding value to their product lines. Today, we further prepare our products to fit the busy lifestyles of the consumers. We take pride in the quality of our finished products and in the service we provide to our customers. As you will see from our website, our business is moving forward and because of this, so are our customers businesses. Even after 10 years, we will continuously develop new products that add diversity and value to our core business. Every step of the way we provide our customers with the value they need and the knowledge that they can trust us to adhere to all of the relevant food safety regulations. Take a look at our website and see for yourself what a difference we can make to your business!